ScienceVision is one of the foremost independent production companies in Austria dedicated to producing blue chip science, natural history and adventure programming for the international TV market and cinema -- as well as immersive and multi-screen programming for museums and National Park Centers. 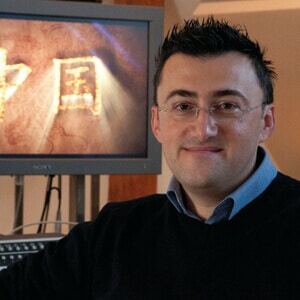 Founded in 1992 by Michael and Rita Schlamberger, ScienceVision’s trademark formula of visual luxury and narrative drama quickly established a reputation with world-class clients such as BBC, ORF, NDR Naturfilm/Doclights, Arte, ZDF, ARD, BR, WDR, National Geographic, WNET/Thirteen, France5, SVT, DR, RAI, Terra Mater and many others. ScienceVision’s numerous award-winning programmes are renowned for their intelligence, warmth and creativity. Exquisite picture aesthetics and feature film dramaturgy are powerfully combined to transport viewers from the highest and coldest peaks of the Alps to the arid expanse of the African desert. In constant pursuit of artistic creativity that inspires, informs and entertains, ScienceVision uses the finest technology for all their productions, incorporating the latest specialized tools such as remote control cameras, computer operated time-lapse, high-speed cinematography and specialized lenses. But it is the human factor that remains at the foundation of the company’s continued success. Talented, innovative filmmakers and a highly motivated, experienced crew, together with leading scientists from diverse fields, make up today's remarkable ScienceVision team..
Michael is an Austrian Director of Photography, Producer and Director of natural history films, based near Graz. His unique visual style and storytelling ability has earned him multiple awards and international acclaim. Prior to his career as a filmmaker, Michael studied medicine and earned his doctoral degree at the University of Graz.Michael was always captivated by film and nature, and after becoming a certified master diver and airplane pilot he combined his passions and began filming underwater and from the air. In 1992, Michael founded ScienceVision together with his wife, Rita. Their body of work has taken them from the highest, coldest peaks of the Alps to the arid expanse of the African desert. They have produced blue chip natural history films for television and cinema, as well as immersive and multi-screen programming for museums and National Park Centers. Michael’s fascination with film technology is a driving force behind the development of new cutting-edge camera and sound innovations. 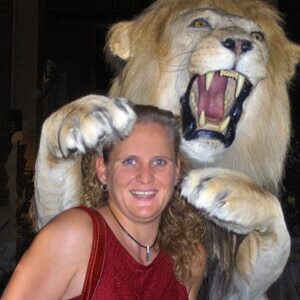 Rita is an internationally acclaimed natural history film director and producer from Austria. Since 1992, Rita, who co-founded ScienceVision with her husband, Michael, has produced and directed many award-winning, blue-chip natural history programming for major broadcasters. Rita has a PhD in biology from the University of Graz, Austria and is a licensed pilot and a certified scuba diver, which are handy skills to have when it comes to filming nature. Rita’s latest film, "Making an Ancient Forest" brings to light the extraordinary natural processes of a primeval forest and the survival strategies of its inhabitants when left alone to restore itself back to its original, wild state. Anita is the nucleus of ScienceVision and is responsible for its organization and administration and also heads the Multimedia & Corporate Film division. You name it – she does it: from marketing and public relations to managing the post-production workflow. Anita graduated from University with a marketing degree and specialized in international business marketing, communication, media and event management. Omer has been working as a film editor and CGI artist with ScienceVision for many years and is also responsible for managing the post-production department. Omer is a graduate of the University of Udine, Italy, has an in-depth knowledge of all the latest cutting-edge editing tools, 3D and motion graphics/compositing software. Jiri is an independent cameraman and director based in Prague, Czech Republic. His passion for filming wildlife developed while studying ecology at Charles University in Prague. 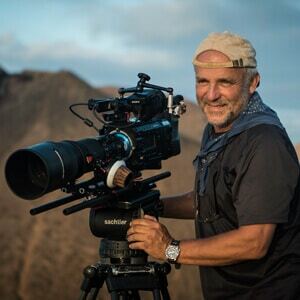 He has subsequently worked as a professional diver and wildlife cameraman in Italy and has been involved in many expeditions as a documentary filmmaker. Over the past 15 years he has filmed and produced numerous wildlife documentaries for national parks and protected areas. Rolando is an independent wildlife cameraman and has worked with ScienceVision for over 20 years. The Italian from Cortina d'Ampezzo studied scientific camera techniques in Canada and biology in France. He has participated in many Himalayan expeditions and in a K2 ascent as a documentary filmmaker for RAI. Needless to say, his career filmography includes a long list of many mountain-themed and nature films. 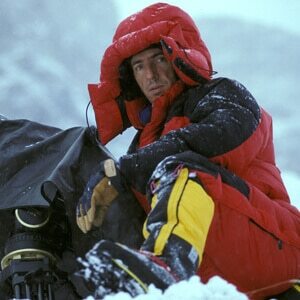 Rolando has even worked as a cameraman on the action-adventure film 'Cliffhanger' starring Sylvester Stallone. Martin has been working with ScienceVision since 2005. 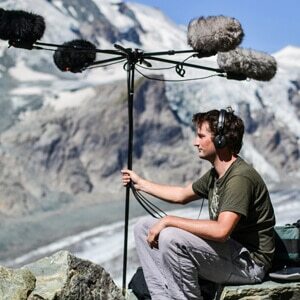 He has a degree in sound engineering from the University of Graz and his specialty is recording location sound as well as post-production surround-sound editing and mixing. He has worked as a freelance sound engineer on international film and television productions as well as a technician for live music performances and theatre groups. 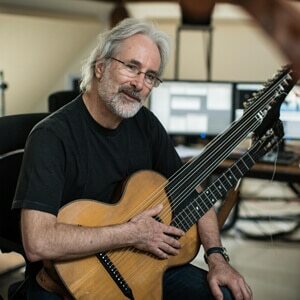 Following 3 years playing in the National Youth Orchestra of Great Britain and then studying for a Bmus hons Tonmeister degree at the University of Surrey, David embarked on his career as a composer in the mid 1980s. Since then his music has been heard on many films, documentaries and concert stages worldwide. He has been nominated for two Emmys and was winner of one for ‘The Last Orangutan Eden’. He’s also won best soundtrack awards at the Wildscreen, Jackson Hole and Missoula festivals and has been nominated at “The Ivor Novello Awards”. He has recorded with and conducted many of the world’s great orchestras, including the London Symphony Orchestra, the Royal Philharmonic Orchestra and, in both ‘World of the Fire Mountains’ and ‘Wild Austria’, the Janáček Philharmonic Orchestra. Alexander is a freelance composer, arranger and guitarist living in Großgmain/Salzburg. 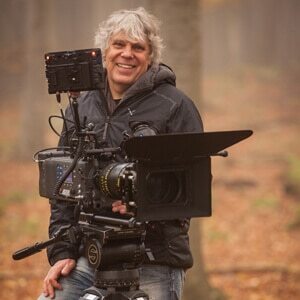 For almost 20 years he has worked for Austrian and German TV broadcasters in the field of feature film and documentary. Since the last years an active collaboration between Alexander and ScienceVision has been developed. 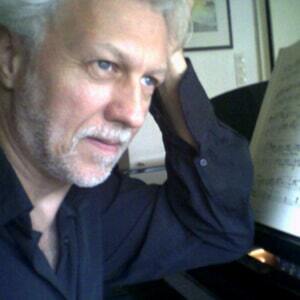 2009 he created his first UNIVERSUM soundtrack for our documentary "Bohemia - A Year in the Wetlands".